President Obama recently called for more police to wear body cameras and so Los Angeles Mayor Eric Garcetti vowed to bring around 8,000 cameras to the LAPD. The LAPD is also purchasing 3,130 tasers that connect to those body cameras. You might say this will make for some shocking video. Hopefully it will prevent police and criminals from acting stupid. 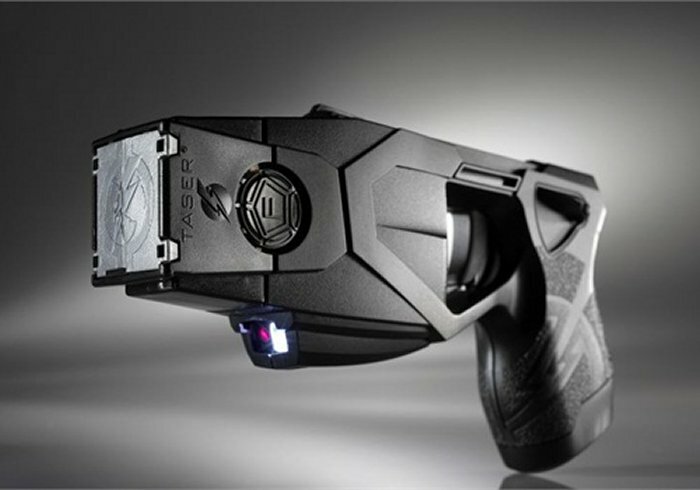 The Taser X26P is a “smart” taser that will automatically activate the worn camera as soon as the safety is turned off. The two pair over Bluetooth, theoretically recording each time the taser is fired. The five-year deal will mean that 2,270 older tasers will be retrofitted for bluetooth connectivity, and 860 Taser X26Ps will roll out with 860 body cameras”. The deal will also give Taser the license to repair or replace the tasers as it is needed. Taser will also have to find replacement weapons in five years’ time. Recording is triggered after the safety is disarmed. The recording via body cameras shows what happened after the taser was armed, while the taser itself keeps logs on use, with info on how often it was fired and if the darts made contact. The police will receive training on the use of the tasers/cameras so they know how everything works and how to use them. Hopefully this will save lives by deterring bad activity.